Last week we had some great weather (for March in West Wales) which spurred us on to finish those final little jobs on our own demo boat, in order to get her on the water. 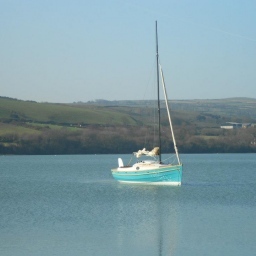 She is now available for test sailing here in Cardigan. We have an excellent list of local accommodation, and can help visitors from abroad with travel advice and information. It’s been over 6 months since I sailed a 23 and I forgot how great she feels….